A new Facebook game folks are playing is causing unfortunate and tragic outcomes. Now, it has caused one young woman her life. "Profoundly" is a game that allows your Facebook friends to ask you questions or leave comments anonymously. Reportedly, one young mother was killed over the game. 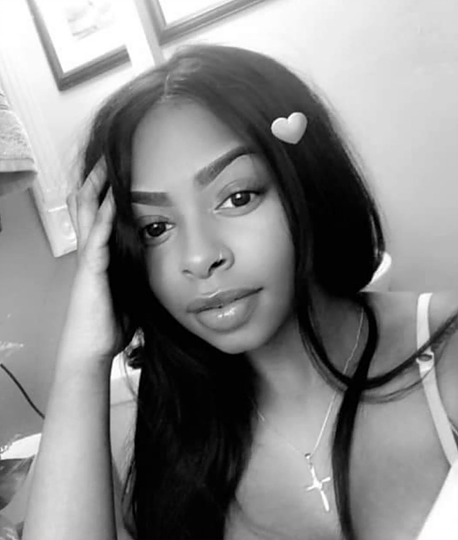 Charee Alexander, a 19-year-old mother from Peoria, Illinois, died after she was stabbed in the neeck during a huge brawl that was allegedly provoked by the game, Profoundly. A woman went on Facebook to explain Charee wasn't even involved in the game. She reportedly was on the scene in support of her sister/best friend. Sadly, she's the one who lost her life. 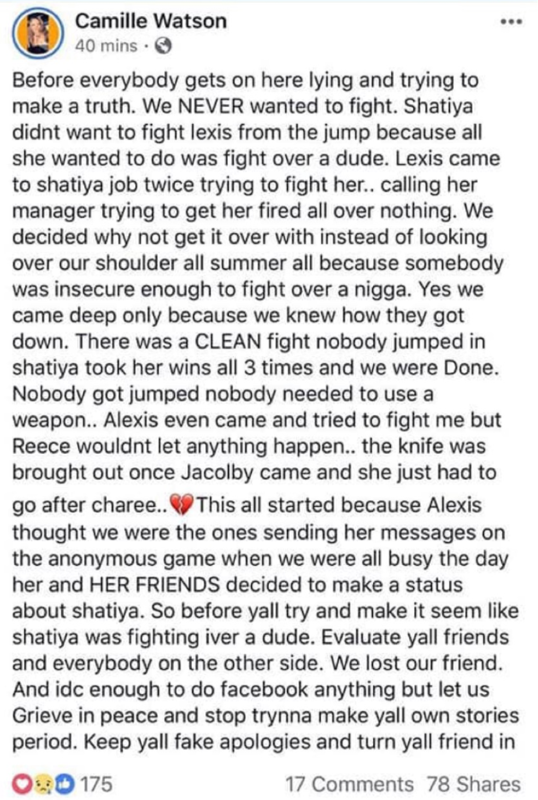 A Facebook user hopped on FB to explain Charee was NOT there to fight and that the drama started over the game. In the post, she wrote, "Nobody got jumped nobody needed to use a weapon... the knife was brought out once Jacolby came and she just had to go after Charee..."
Alexander, her mother said, was at Schmoeger Park on Thursday afternoon to support her sister who was involved in a melee with another girl. Instead, the “girly girl,” the one who was always concerned about how she looked and stood by her friends, was stabbed in the neck. She was rushed to the hospital, but her injuries were too severe." To make matters worse, Charee leaves behind a 3-year-old daughter, Kyla, who's father was also killed in 2016. In December 2016, the child’s father and Alexander’s boyfriend at the time, Deven Lee, 18, was gunned down in the 1800 block of North Indiana Avenue in Peoria. Alexander's mother Abbey has asked the public to step in to find the person/persons who did this to her daughter. 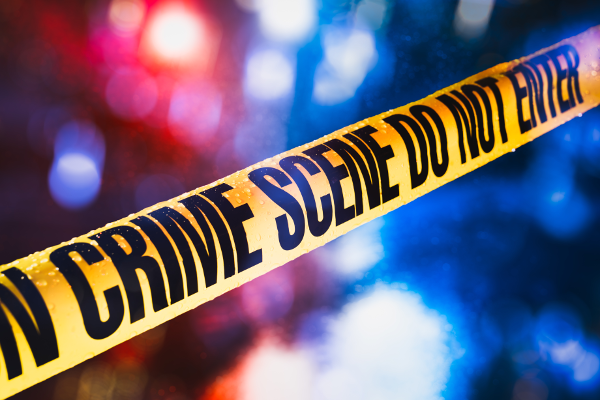 The fatal stabbing is still under investigation. Anyone with information should contact the Peoria Police Department at 673-4521 or CrimeStoppers anonymously at 673-9000. Tragic. Prayers up for her daughter, family and friends. This story is a reminder to be mindful about what you post on social media as it can spill over into the streets and claim the lives of bystanders. And if you can't take the heat of questions or comments said, don't voluntarily repost them or simply don't particpate.